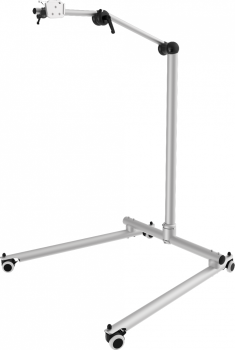 Standard Chassis: The Floorstand chassis opens a wide area for the device to safely reach over, without compromi-sing stability. Low ground clearance allows for reaching under beds and sofas. 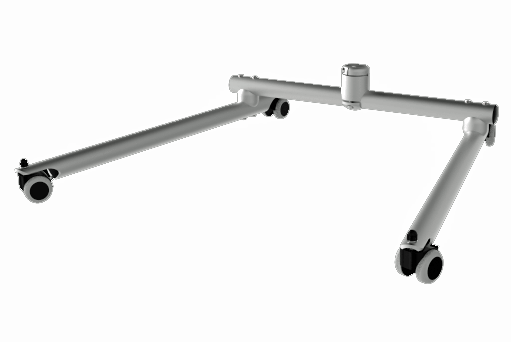 Quick release: REHAdapt’s signature tube joints allow for full 360° adjustment in all dimensions. 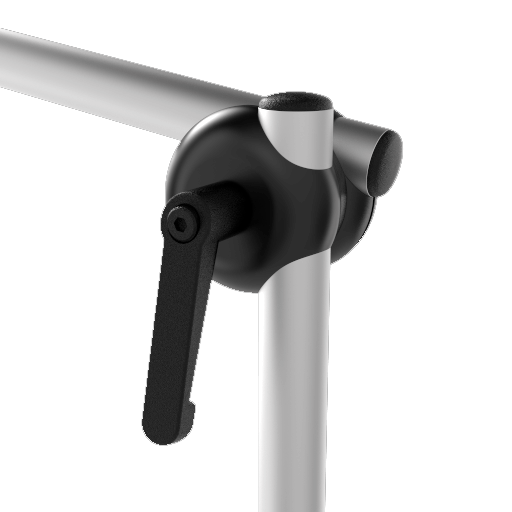 With quick-shift levers. 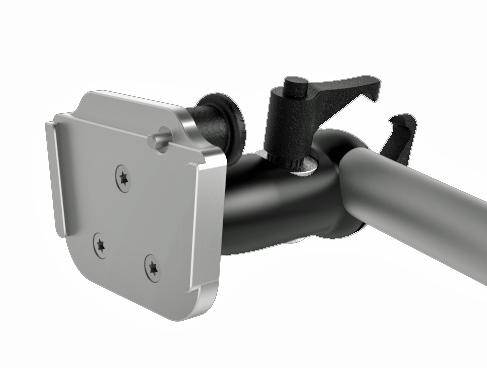 UDS-DC: Quick Release system with two levers allows for safe device attachment within seconds. With a small footprint on the device, yet great sturdiness! 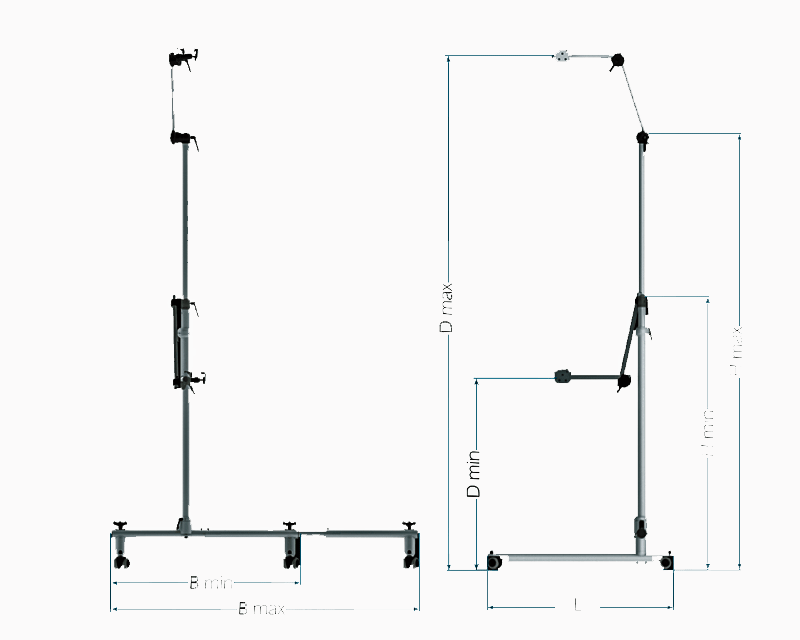 Width (B): 77 cm | 30"
Length (L): 79 cm | 31"
Height (H): 95 cm | 37"
Device height (D): 55 - 130 cm | 21" - 51"
Tube 1: 40 cm | 15.7"
Tube 2: 30 cm | 11.8"
Weight: 6.5 kg | 13 lbs. Load capacity: 10 kg | 22 lbs.